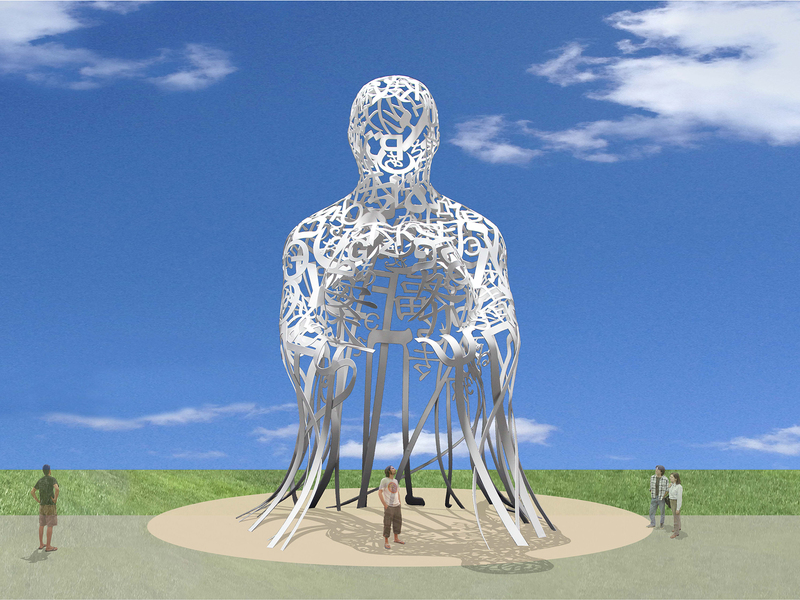 Montréal, June 8, 2016 – The prestigious Bonaventure gateway to downtown Montréal will be enhanced with a work of public art created by the internationally know artist Jaume Plensa. Montréal will receive this artwork for its 375th anniversary thanks to the contribution of two major patrons, France Chrétien Desmarais and André Desmarais. The announcement was made by the Mayor of Montréal, Denis Coderre, in the presence of the Desmarais and the artist, as well as several guests who were gathered at Montréal city hall. “I am delighted to accept the loan of the impressive and great work of public art, to be displayed along the future Robert-Bourassa urban boulevard. This work of art will stand majestically at the gateway to downtown Montréal and contribute to our metropolis’s image. On behalf of Montréal, I would like to thank France Chrétien Desmarais and André Desmarais for their philanthropic gesture. Thanks to their generosity, Montrealers will enjoy a monumental work of art that will brilliantly complement the development of this new stretch of road and create a gateway to downtown that is prestigious, functional and friendly,” said Mayor Coderre. This collaboration for a public art project created by an international artist is a first for Montréal. The agreement concluded between the patrons and Montréal, provides for the loan of the work of public art Source by the Catalan artist Jaume Plensa for a minimum duration of 25 years. “Montréal is certainly a creative city, and public art is its symbol and inspiration. Each work of art is another reason to love this city, which like all the other cities, needs the love of all those who call the city home. We must all contribute in our own way,” said France Chrétien Desmarais and André Desmarais. Situated at the intersection with Rue Wellington, this artwork will become an important reference point for the city. The sculpture Source will be approximately 10 metres in height. The work of art refers to the roots of a city’s energy and vitality: the people and their origins. It is a reminder of the contribution of communities of diverse origins to Montréal’s rich culture and symbolizes their unity. The artist will make reference to water as a source of life and as an element that marked the history and development of Montréal. The work, which is now being designed, will be inaugurated in 2017 as part of Montréal’s 375th anniversary. I am very pleased that one of my works of art has found a home in Montréal, a major city of art and culture. All my work seeks to connect people and communities, which is the essence of Source. By its title, the artwork refers to the origin of a spring,, but also represents the history of the city and its founders, the First Nations. It rises upward and gives shape to the Montréal of tomorrow, as envisioned by its inhabitants,” added Jaume Plensa. 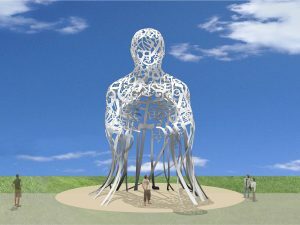 The media may consult pictures of the scale model of Source at http://montreal2.qc.ca/photosdepresse/jaumeplensa.